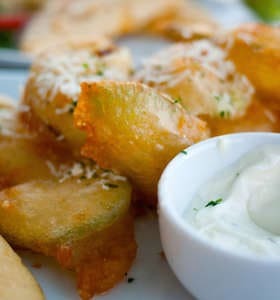 A super simple fried zucchini recipe for the lovers of the authentic Greek cuisine! Fried zucchini (Tiganita Greek kolokithakia) is a favourite Greek meze that is served in every Greek tavern, so why not make it at home and bring back that summery holiday feeling! 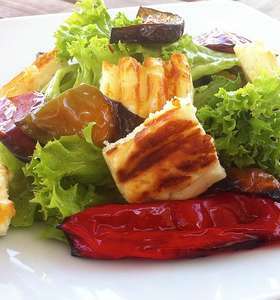 A delicious Halloumi salad recipe, packed with Mediterranean flavours! 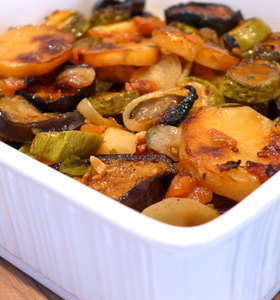 Soft and colourful roasted vegetables mixed with grilled Halloumi and crunchy leafy greens coated in an exquisite oil and lemon sauce. 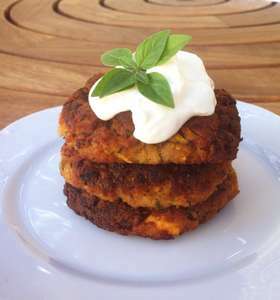 Discover this traditional Greek kolokithokeftedes (zucchini/ courgette balls) recipe. 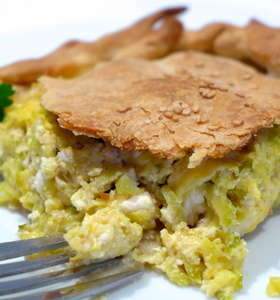 Find out how to make this fried feta and courgette delight the authentic Cretan way.